member of Ford’s board of directors from 2006-2014. Defense Systems to the #1 commercial airplane company and aerospace company in the world. Quality’s medal for excellence in executive leadership, and the “Thomas Edison Achievement Award”. Mulally is a Museum of Flight Pathfinder and a member of the Automobile Hall of Fame. of the Board of Governors of the Aerospace Industries Association. 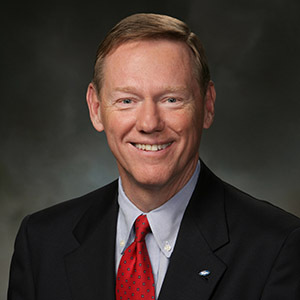 Mulally currently serves on the board of directors of Google, Carbon 3D, and the Mayo Clinic. Technology as an Alfred P. Sloan Fellow.